Cauda equina syndrome (CES) is a rare condition with a disproportionately high medico-legal profile. It occurs most frequently following a large central lumbar disc herniation, prolapse or sequestration. 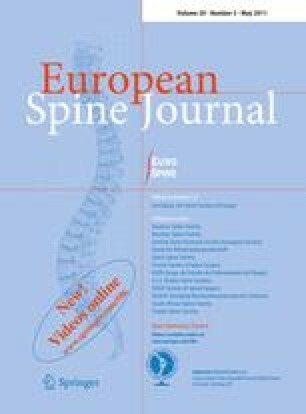 Review of the literature indicates that around 50–70% of patients have urinary retention (CES-R) on presentation with 30–50% having an incomplete syndrome (CES-I). The latter group, especially if the history is less than a few days, usually requires emergency MRI to confirm the diagnosis followed by prompt decompression by a suitably experienced surgeon. Every effort should be made to avoid CES-I with its more favourable prognosis becoming CES-R while under medical supervision either before or after admission to hospital. The degree of urgency of early surgery in CES-R is still not in clear focus but it cannot be doubted that earliest decompression removes the mechanical and perhaps chemical factors which are the causes of progressive neurological damage. A full explanation and consent procedure prior to surgery is essential in order to reduce the likelihood of misunderstanding and litigation in the event of a persistent neurological deficit. The authors are grateful for comments and encouragement from Mr Andrew Ransford FRCS and Dr Bjorn Rydevik. No conflicts of interest are declared.